Leonard Cohen, it turns out, died the day before Donald Trump was elected president. A beloved poet who personified thoughtful humility, Neil Macdonald writes that one can suspect Cohen's passing provoked indifference, if anything, in Trump nation. Leonard Cohen, it turns out, died the day before Donald Trump was elected president. His family chose to keep the death confidential until his remains had been buried in Montreal. That several-day delay in publicly acknowledging Cohen's passing transformed it from ordinary news — he was, after all, 82 years of age — to a portent of almost unbearable dread, at least for progressives, who, by the time the death was confirmed on Thursday, were struggling with the fact that a sneering, misogynistic braggart was about to become the most powerful man on Earth. Then, to top it all off, a beloved poet and singer who personified thoughtful humility — a man who thanked his audiences on his knees — was gone. 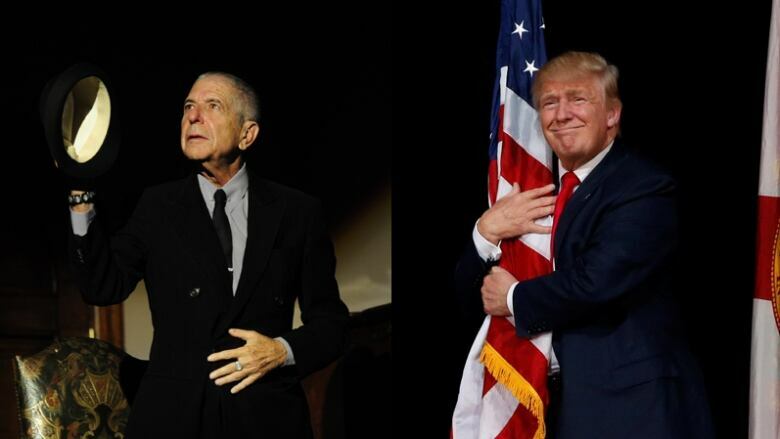 One suspects Cohen's passing provoked indifference, if anything, in Trump nation; the people still shuddering with triumphalist thrill at having shown the elites who's really in charge of the U.S. probably prefer Lynyrd Skynyrd to Leonard Cohen, if they've even ever heard of Cohen. For progressives, Cohen's death layered a heavy sadness onto the anger and bewilderment over Trump. As they dug into their music libraries to re-hear the exquisite interplay of despair and hope in Hallelujah — "Even though it all went wrong / I'll stand before the Lord of Song / with nothing on my tongue but Hallelujah" — Trump was announcing the senior White House appointment of Stephen Bannon, a hero to white supremacists. 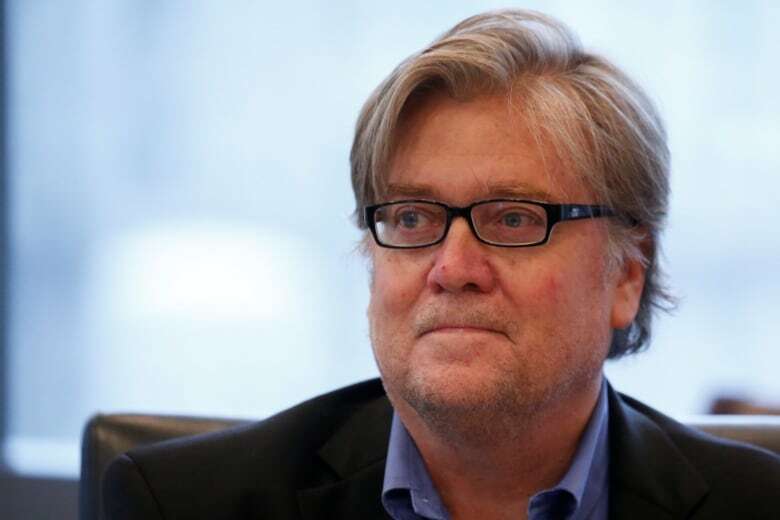 Bannon formerly presided over Breitbart, a news site with un-exquisite headlines like "Birth control makes women unattractive and crazy" or "Bill Kristol … Renegade Jew" or "Trannies 49Xs higher HIV rate." Cohen regarded the world as dysfunctional, flawed and finite. "He was possessed by a lasting sensation of brokenness. He was broken, love was broken, the world was broken," wrote his old friend Leon Wieseltier in the New York Times. But he also believed that was a necessary tribulation, a "gorgeous imperfection," says Wieseltier. "There is a crack in everything," Cohen once remarked. "That's how the light gets in." Wrote Wieseltier: "The teaching could not be more plain: fix the crack, lose the light." 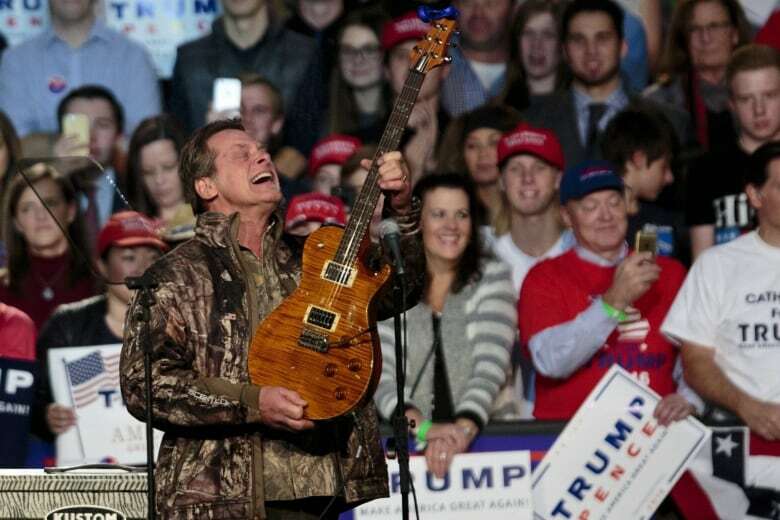 Trump's kind of poet/musician, though, is Ted Nugent, the Wango Tango gun rights guy who campaigned energetically for him this campaign. Onstage at a Trump rally in Michigan, The Nuge grabbed his package, yelling: "I've got your blue state right here, baby! Black and blue!" 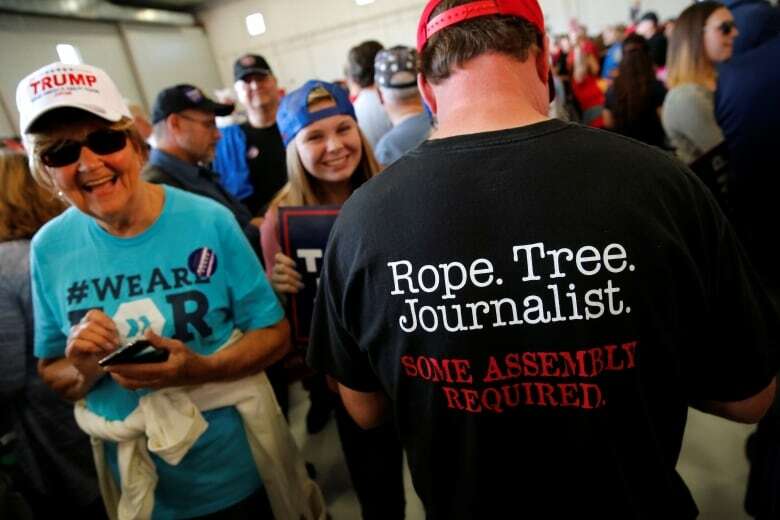 Whatever that meant, red-state Trump nation loved it. To the new president-elect, reflection about the duality of despair and hope is just loser talk. Trump's view, and Bannon's, is that there is good and bad, sharply demarcated, and that men of action simply decide what is bad and obliterate it and replace it with good, and then everything will be fine. It's a sort of magical realism: the laws of economics can be repealed and replaced. Americans will have much better health care for far less money, and new infrastructure and big tax cuts simultaneously. The new administration will slice the Gordian knot of the Levant with one clean, powerful, as-yet-unexplained stroke. It will deport millions of illegal immigrants — the people who do the country's scut work — and somehow, the economy will improve. Trump will treasure women, even if he thinks some of them are ugly pigs and others so attractive he can't resist reaching for their genitalia. And anyway, the important thing is "winning." He said that again on 60 Minutes Sunday night. Beating everybody else, in other words. Meanwhile, the beaten elites and the liberals and people who live in U.S. cities have to figure out how to deal with all this. Already, the mainstream media is falling into line. That's partly because Americans believe the office, if not the occupant, deserves respect. But it could also have something to do with the fact that the incoming president wants to crack down on the media, which he despises. Lesley Stahl, the 60 Minutes interviewer, was deferential Sunday, asking the Trumps how they feel, framing "hard questions" in the tenderest of terms. And news organizations that had before the election described Trump's lies as what they were — lies — are now pulling back to the easier, more comfortable approach of equivalence: One side says this, the other says that, you decide. As if acquisition of the office makes a bigot less obvious. Anti-Defamation League CEO Jonathan Greenblatt was widely quoted as saying, "It is a sad day when a man who presided over the premier website of the 'alt-right' — a loose-knit group of white nationalists and unabashed anti-Semites and racists — is slated to be a senior staff member in the 'people's house.'" No less a conservative firebreather than Glenn Beck used his talk show Monday to call Bannon a "terrifying man" who "has a clear tie to white nationalists." But mainstream reporters dutifully went on to quote Trump supporters who described Bannon as an honourable, decent all-round good fellow. Because my colleagues in the old media are being cowed; they know that the noisy demonstrations will die down, and Donald Trump will be President Trump, and the loopy far right, with Bannon down the hall from the Oval Office, will be exercising vast power for the next several years. It has actually come to this: Beck, former Fox News wildman, is more courageous than the mainstream media when it comes to calling out an extremist. Everything has changed. A slight minority of American voters saw to that. This is a reality that can only be coped with, not changed. It's actually bleak enough to validate Leonard Cohen's world view. The best we can hope for is a few cracks to let the light get in. 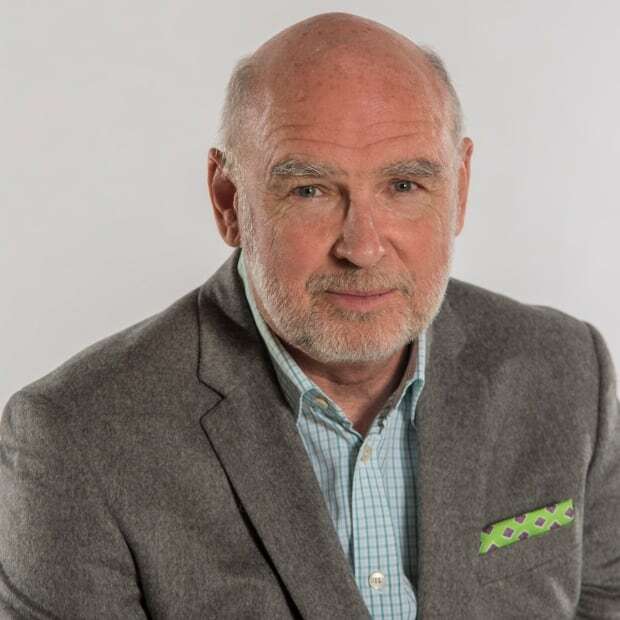 This column is part of CBC's new Opinion section. For more information about this section, please read this editor's blog and our FAQ.